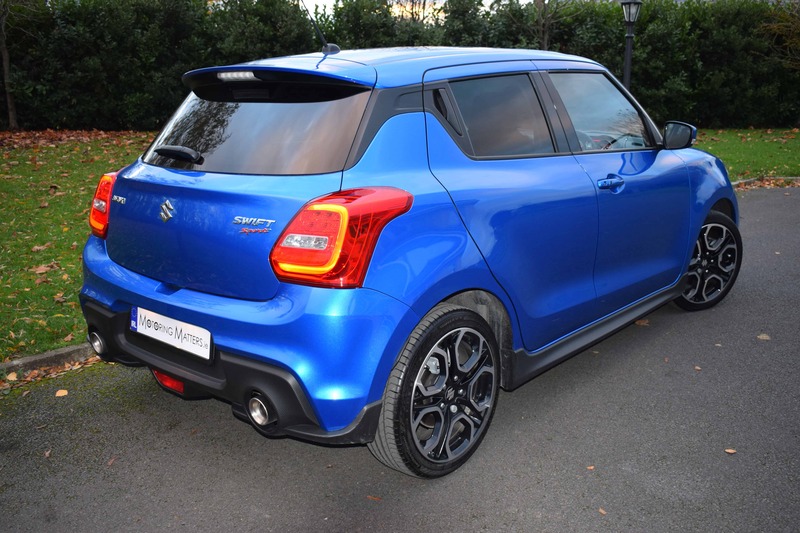 Suzuki’s New ‘Dynamic & Powerful’ Swift Sport. 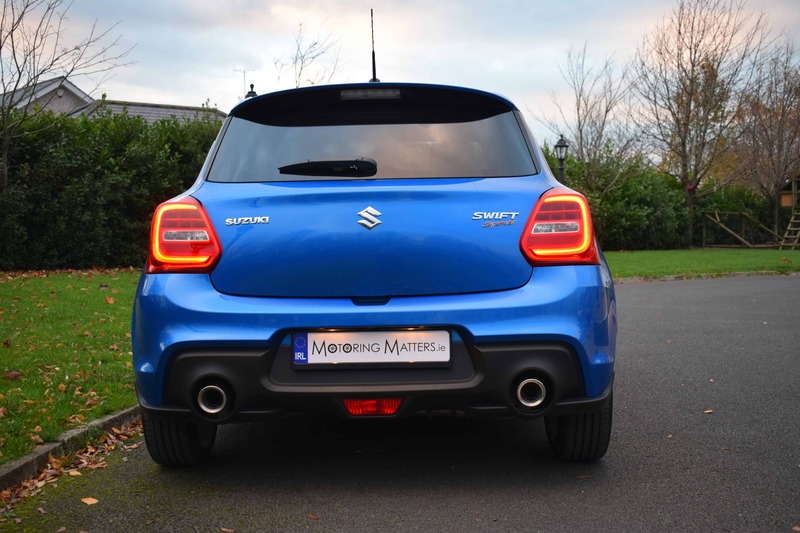 Initially unveiled at the Frankfurt Motor Show in 2017, and recently launched in Ireland, the new Suzuki Swift Sport represents an automotive advancement aimed at uplifting the driver through succession, evolution and innovation. The new Swift Sport carries forward the standard Swift DNA, while adopting completely new styling and a performance-enhancing, extremely light, body with advanced safety technologies. 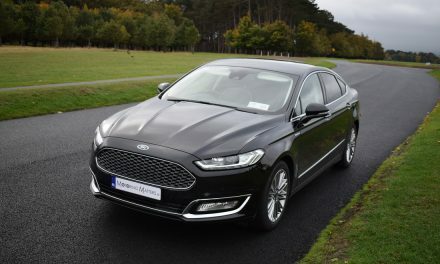 The result is exterior European flair complemented by a sporty and functional interior, nimble and agile driving dynamics and enhanced peace of mind. The new Swift Sport features an exclusive frontal design. The front grille and bumper project the nose beyond that of the standard Swift, conveying a sense of tautness and imminent action. Muscular shoulders, blacked-out A-pillars and vertically arranged front and rear lamps, as introduced in the rest of the Swift model range, are brought to life in the Swift Sport with black aerodynamic under-spoilers spanning the front, side and rear of the car, and a roof-end spoiler that balances aerodynamic advantage with sports aesthetics. Under the ‘Suzuki Next 100’ plan announced at the Frankfurt Motor Show in 2015, Suzuki developed a new platform strategy for its future models and the Swift Sport is the fourth model (following the Baleno, Ignis and standard Swift) to adopt this lightweight platform and to be introduced in Europe. Known as ‘Heartect’, this new platform delivers enhanced fundamental vehicle performance due to being light and highly rigid. A comprehensive overhaul of the underbody’s structure and component layout resulted in the adoption of a highly rigid frame that enhances collision safety and has a continuous, smooth and curving form that better helps disperse energy. 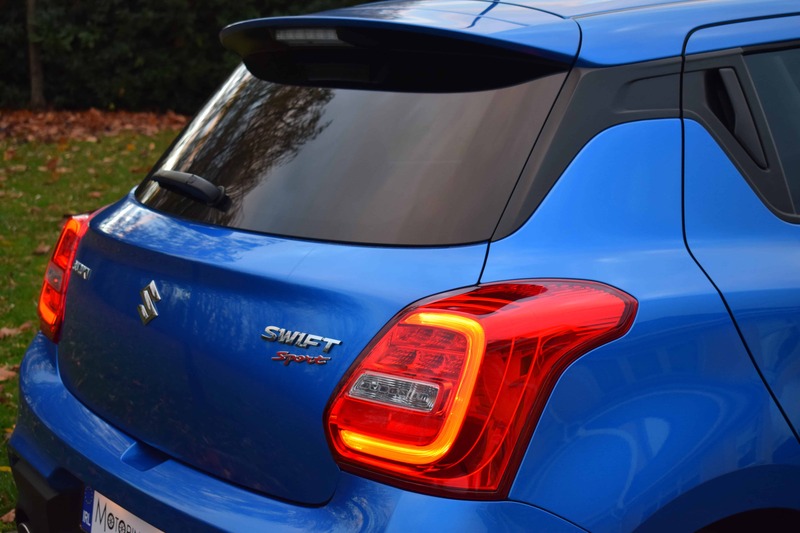 During development of the new Swift Sport model, an additional number of welds were added to the upper part of the rear door openings as well as to the lower left and right sides of the tailgate opening aperture. This has resulted in even stronger structural rigidity of the body. Development of the new Swift Sport’s exteior design was based on the concept of a “bold evolution of the Swift DNA”. While resolute efforts were made so that the new model would inherit the standard Swift model’s characteristic styling, elements that needed refreshing were boldly transformed to innovatively evolve the new car. The look of a low centre of gravity is further established by blacked-out pillars that create the appearance of a floating roof. Pillar-mounted rear door handles add both style and a sporty flair, while a high-tech look comes in the form of LED signature illumination used in the headlamps and rear-combination lamps. 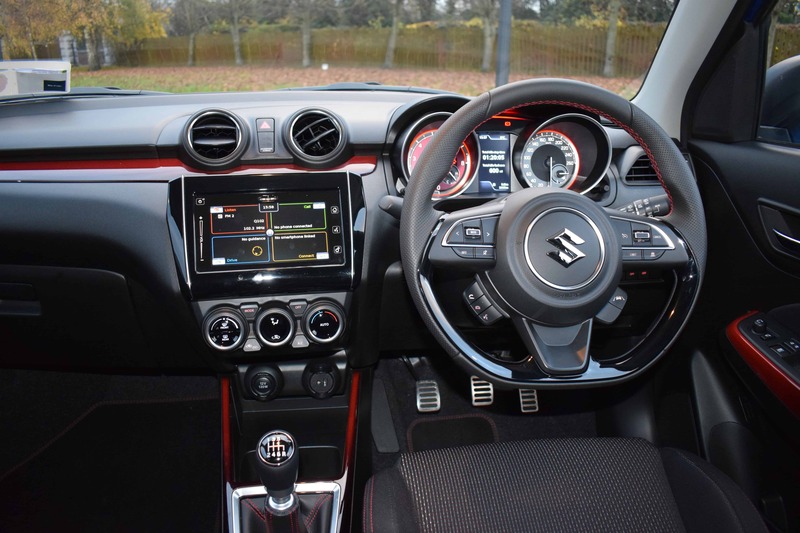 For the interior, the highly dimensional instrument panel highlights a sense of nimble speed, while sporty and sophisticated red accent panels throughout the cabin work with a basic tone of black to create a high-contrast interior space. For added sport appeal, the tachometer features a red dial face and the speedometer is coloured silver. A unique LCD display unit is used in the centre, with coolant temperature and fuel gauge incorporated within the two main gauges. Exclusive alloy pedals are also used to highlight the sporting character of the new Swift Sport. The front seats are of semi-bucket design and have exclusive tubular frames set within the side supports of both the seatback and seat base cushion with fine-tuned urethane pads for additional support during cornering at high speed. The steering wheel is also exclusive to the Sport model with a dimpled leather design for secure grip and a premium feel. 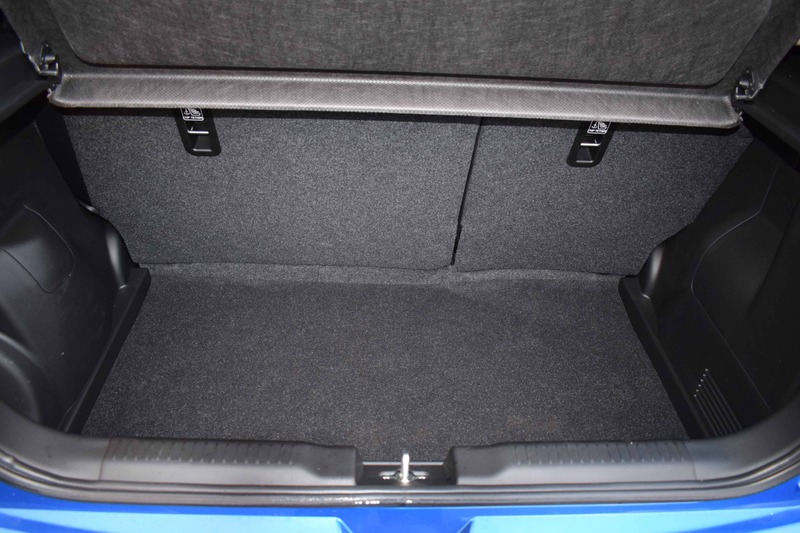 Boot space in the new Swift is 264-litres with the rear seats in the upright position and is adequate for this size of car, but drop the rear seats and this volume increases to 579-litres. 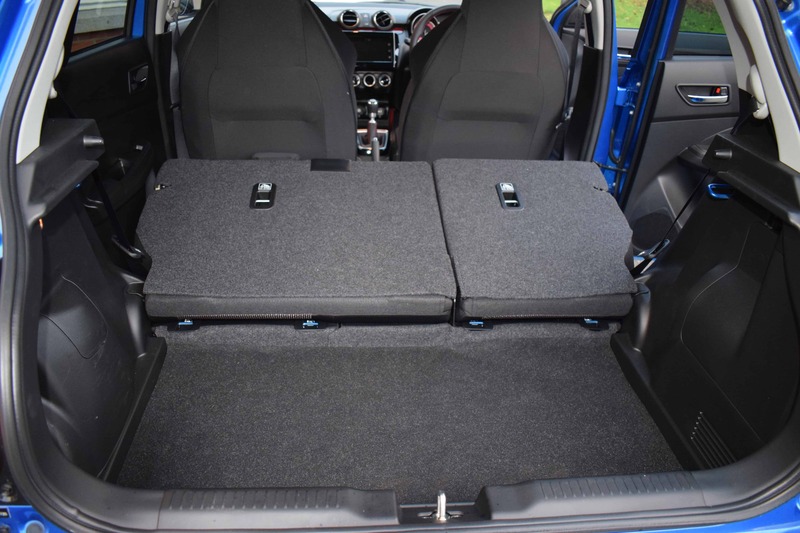 Thanks to the upright stance of the new Suzuki Swift, excellent levels of leg, head and shoulder room for all occupants are guaranteed. 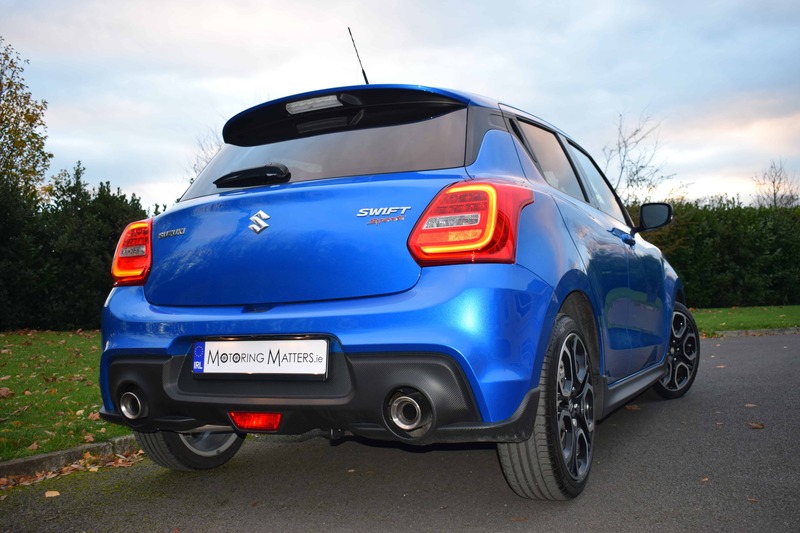 Available in just one specification, the new Suzuki Swift Sport is powered by a 1.4-litre ‘Boosterjet’ turbo-charged petrol engine with a power output of 140PS and 230Nm of torque. Offering the same level of power and torque as a much larger capacity normally aspirated engine, the new Swift Sport can sprint from 0-100km/h in just 8.1-seconds on its way to a top speed of 210km/h (where permitted). 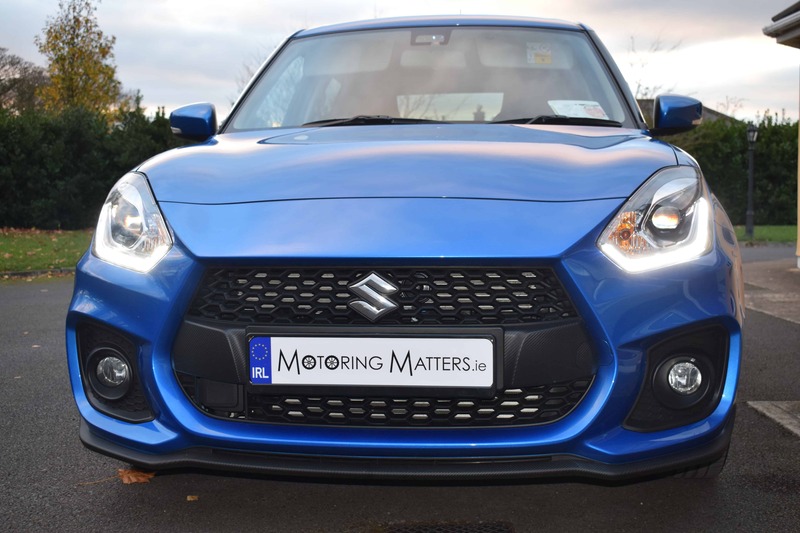 My test car was a new Suzuki Swift Sport finished in stunning Speedy Blue metallic paint and mated to a standard six-speed manual gearbox, which has a ten percent shorter throw than the previous Sport model for thrilling gear changes. Standard equipment in the new Swift Sport is excellent and includes 17” alloy wheels, dual exhaust pipes, rear privacy glass, chrome interior door handles, DAB digital radio, Smartphone linkage display audio, satellite navigation, Bluetooth™, multi-function steering wheel, USB & AUX connectors, air-conditioning with a pollen filter, front fog lamps, automatic headlights with high-beam assist, LED projector headlamps, automatic headlamp levelling, electric door mirrors, electric front & rear windows, engine auto stop/start system, keyless entry & start, adaptive cruise control, rear parking camera, alarm, immobiliser, remote control central locking, tyre pressure monitoring system, childproof rear door locks, ISOFIX child seat anchorage points x 2, lane departure waring, hill hold control, ABS, Electronic Brakeforce Distribution (EBD), side impact protection beams, multiple airbags with a front passenger airbag deactivation system, along with many other comfort, convenience and safety features. Also standard in the Swift Sport are larger brakes with fade-resistant pads, stiffened suspension and a recalibrated steering set-up for pure driving thrills. 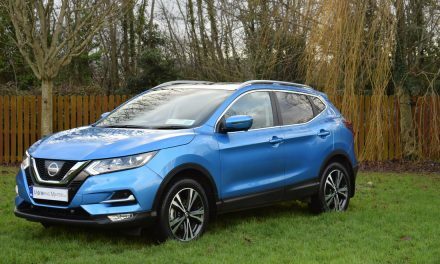 Suzuki claim a fuel consumption figure of just 5.6-litres of petrol for every 100km driven on a combined driving cycle – which is etremely close to the 5.7l/100km figure I achieved on a combined driving cycle during a recent 100km roundtrip. 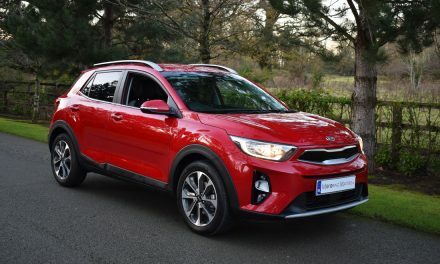 A quoted ‘extra-urban’ figure of 4.8l/100km is even more impressive. 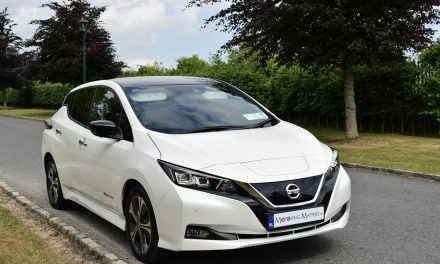 Thanks to CO2 emissions of 125g/km, annual road tax is just €270. I found the Swift Sport’s steering to be nicely weighted and consistent, making it composed in corners. The new Swift’s lightweight construction allows the car to feel agile, while also allowing it to be ‘swift’ in name, and nature, as a result. 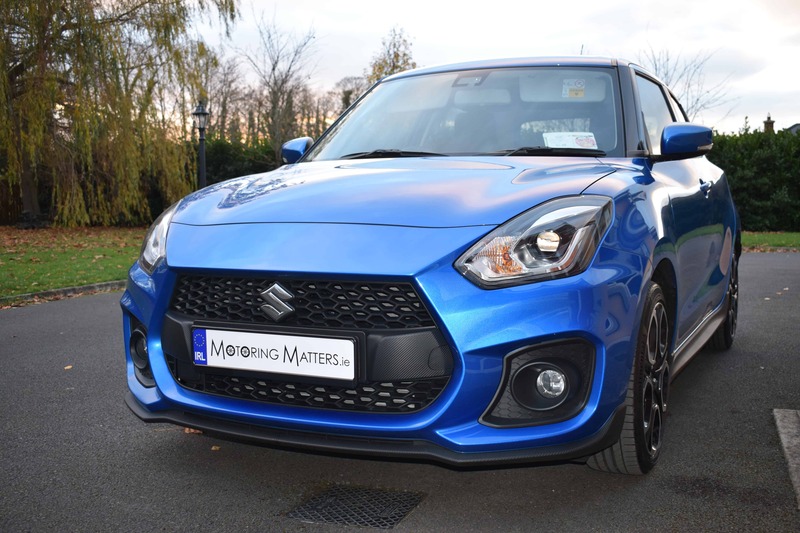 Excellent driving dynamics ensure that the Swift Sport handles with poise and precision, while increased performance and refinement result in terrific driver enjoyment. 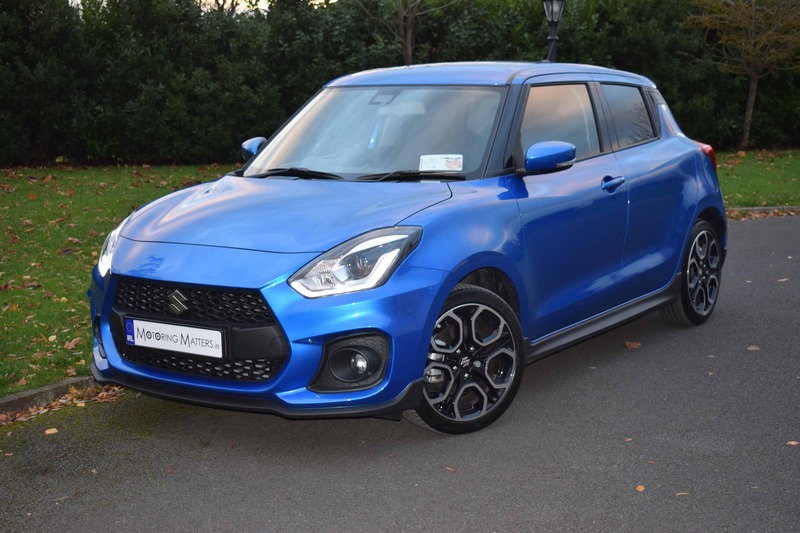 Ex-works prices for the new Suzuki Swift range start at a very reasonable €14,995, while the new Swift Sport is priced at just €22,995 and provides big car features at a small car price. 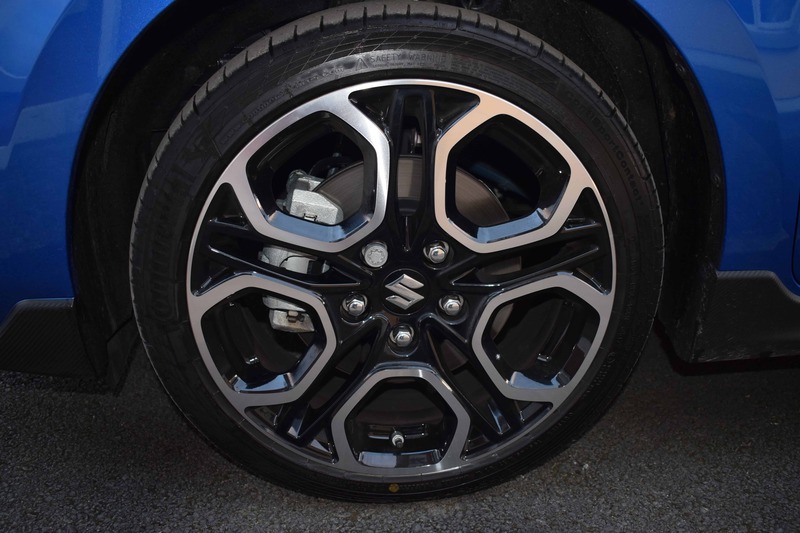 A 3-year/100,000km warranty comes as standard across the entire Suzuki range. PreviousStunning New Mercedes-Benz C200 AMG-Line Cabriolet Automatic. NextAll-New Honda Civic Four Door Sedan – Spaciousness With Style.